I've noticed a few craft bloggers making dresses for something called Dress a Girl Around the World. So I checked out the website, and I think it's the coolest thing! Basically they have a really simple pattern of a dress you can make from a pillowcase or any other fabric, and they send the them to girls around the world who can't afford dresses. I think all the sisters should make some this summer! Thanks for featuring my dresses! your blog is adorable, love that tshirt refashion below. 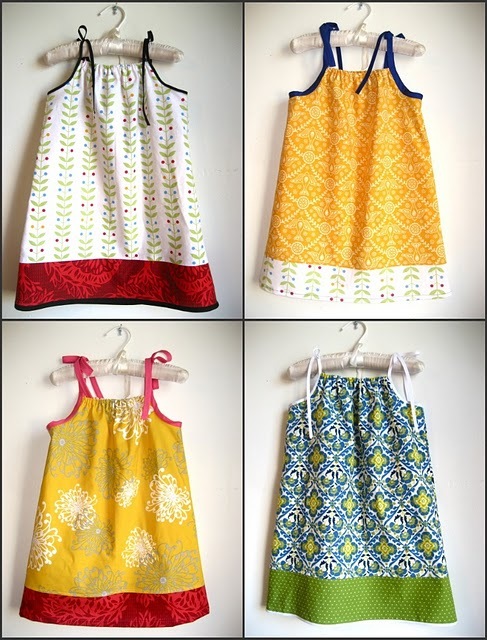 Sewing party this summer! I LOVE this idea.